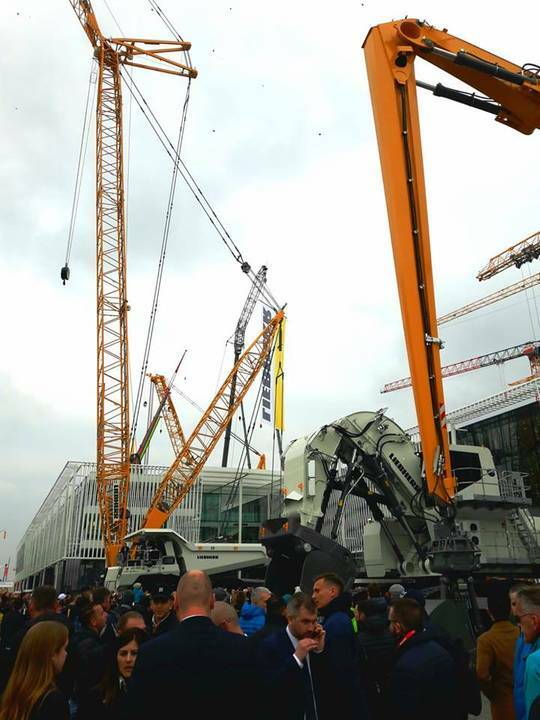 Liebherr showcases its various machines at bauma 2019. Liebherr has introduced its EC-B flat-top series, which offers maximum load capacities from 6 t to 16 t and maximum jib head load capacities from 1.6 t to 2.8 t – working at a maximum radius. The first eight cranes in the series include the 125 EC-B 6, 220 EC-B 10, 220 EC-B 12, 240 EC-B 10 Fibre, 240 EC-B 12 Fibre, 340 EC-B 12, 340 EC-B 16 and 370 EC-B 12 Fibre. Highlights of the new EC-B series are the 240 EC-B Fibre and 370 EC-B Fibre. 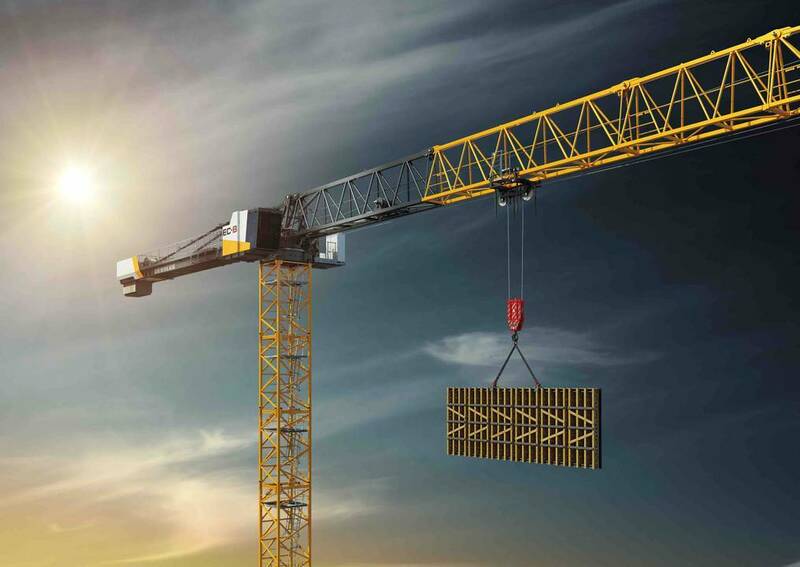 These cranes are equipped with soLITE high-tensile fibre rope, which has been developed over a period of 10 years by Liebherr and the rope manufacturer Teufelberger. As well as the fibre cranes offering up to 20% more jib head load capacity when compared to cranes using steel rope, fibre rope also has a four times longer service life than steel rope, said Liebher. As the fibre rope only weighs around a fifth of steel rope, reeving the hoist rope is significantly easier in terms of handling. Moreover, maintenance is less complicated as the fibre rope does not need lubrication, added Liebherr. Operational safety is also increased; the different elements of the rope’s outer layer wear out at a different pace – the crane operator knows when it is time to replace the rope (when the red layer underneath the sheath becomes visible). The new LiCAB cabin on the EC-B flat-top series is larger and also has a greater field of vision. It features a new 12-in multi-touch display, which ensures all devices in the cabin are networked together. Comfort functions such as air conditioning, radio and windshield wipers are also controlled centrally via the new display. Whenever there is an update available for the Tower Crane Operating System, this is indicated on the display and can be loaded with a single tap of the finger. The LiCAB cabin is available in three options: The LiCAB Basic, LiCAB Air with air conditioning, and the premium LiCAB AirPlus version with air conditioning, double glazing and tiltable side windows. The new EC-B’s compact head, jib and trolley are lighter than their predecessors. Furthermore, the jib is now so narrow that three jib sections fit onto a truck bed. The new cranes have also been designed with optimised quick assembly connections for jibs and counter-jibs, to make assembly even easier and safer. The new EC-B series makes optimal use of the tower systems’ performance capacity. Even the currently largest, new EC-B, the 370 EC-B 12 Fibre, works using the 21 HC 290 tower system with corner posts measuring only 2.1 m.
Liebherr has developed a new tower system, the 12 EC 125, for the 125 EC-B 6 as part of the new series. With its extremely slim corner posts measuring 1.2 m, the 12 EC tower system is particularly suitable for construction sites where a limited amount of space is predicted. The 12 EC tower system comes in two lifting capacities: the 12 EC 100 and the 12 EC 125.